Re: Vive Wireless Adapter...Not Compatible with Laptop's, Seriously? Vive Wireless Adapter...Not Compatible with Laptop's, Seriously? Both of these items promote a specific straightforwardness with regards to setup, however, there are some additional means that for the most part get disregarded. 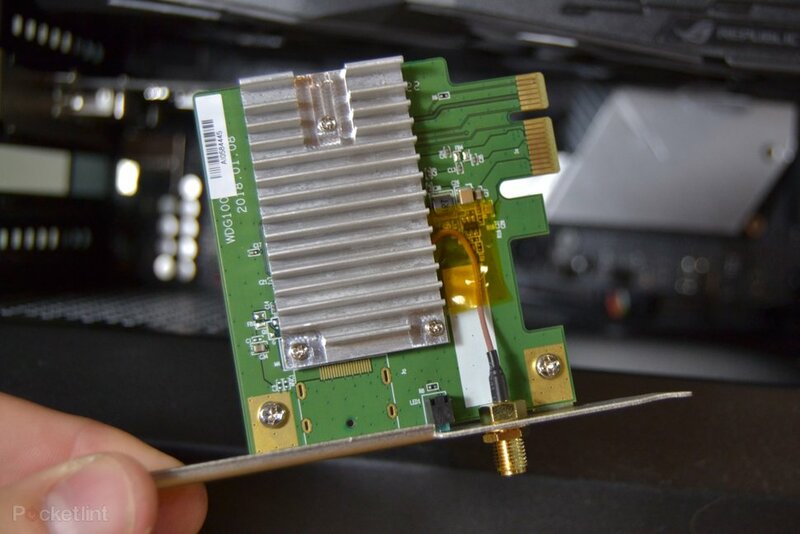 On account of the new official Vive connector, you should have an additional PCIe 1x space in your PC for an Intel WiGig card, which gets associated through cajoling link to a radio wire. That radio wire can be mounted or can sit close to your PC, as long as it has a perspective on your headset and appended remote recipient. "I`m willing to bet that at least half of VR users are hooked into their laptops". I am wondering who uses laptop for VR? I mean you require a decent setup to play VR games, and laptops are not known for their power. More like 1% of users have their VR set connected to a laptop. The official wireless adapter is desktop hw architecture. It is a desktop sized PCI-E card and requires a PCI-E slot. It physically won't fit in your laptop (it's relatively pretty large for a laptop) nor will it fit any laptop as it's a desktop solution. There's no way to use some sort of external enclosure as there are driver and hardware architecture conflicts which wholesale exclude most mobile architecture from being compatible. I'm pretty sure @Lostedge is still living in 2014 or 2015. Must have time travelled to the future, bought a HTC Vice, and then travelled back. @dtdynd I am sorry but you are just wrong. Most people don`t have their VR sets connected to laptops. Sure it is easier to carry and showcase the VR set on laptop. Then again I dont have to worry about the cables and computer placement when I have HTC Vive Wireless :D ... Unlike laptop users. @Lostedge I read an article with the author estimating it'll be about 5 more years for the desktop diehards to die out...I didnt realize you were one of 'those' guys...so not much use responding, lol. everyone else has accepted laptop gaming performance to have more or less caught up to desktop performance except for the diehards ;) lol. Anyways, you're tethered to a room; I'm tethered by a wire that I can at least bring wherever I wanna go to. As much as I hate the Vive's wires, I'd take that over having to be tied down even more, with a desktop, anyday.